Some people are more successful in losing weight than others. The reason is that those who gain weight give in to their temptations, emotional states, or behavior. This makes weight gain (or loss) a factor related to personality traits – as proved by a number of studies as well. A book presented at the annual meeting of American Dietetic Association (ADA), describes the 21 personality types and how these impact on the a person’s approach to what they eat, how they exercise and manage stress. If it is hard for you to lose weight because of unhealthy eating habits, you may find one or the other trait resembling your personality. 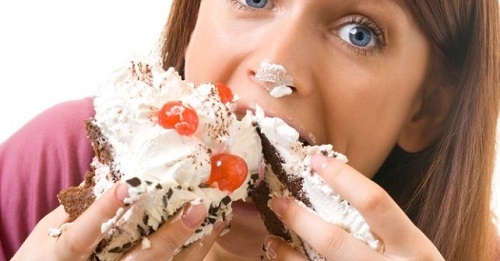 Moreover, many studies also focus on another personality pattern relating to overeating, which is “emotional eating”. Researchers have reported that people who are more prone to negative emotions such as anxiety, sadness, loneliness, or are disorganized/undisciplined are more likely to have higher BMI and added risks of getting fat. How Does Negative Personality Traits Impact on Weight? If your habits are similar to the ones mentioned above, it does not mean that you will automatically fall in the category of obesity. Instead, it means that such unhealthy eating behaviors can lead to cause uncontrollable weight gain. Emotional or habitual eating makes it hard for people to opt for healthy food options. Since junk food has the addictive ingredients that help in mood boost, you tend to eat more of it in one go. Your constant giving in to the temptations also makes it harder to self-control the eating habits. Moreover, people with such personality traits often find it hard to stick to a diet and fitness routines. Handle your stressors. Try to avoid arguments and such environments that make you tense. Stop before you grab the junk. If you are feeling blue or angry, or just have untimely food hankerings, take on physical activities to relax the mind. Keep a diary and note down your daily consumption of food. If feasible, note down how much calories you are taking with the food choices that you make. Keep away from comfort foods. Do not go shopping for the bag of chips or ice cream. Dispose the junk food items in the storage area and replace them with healthy snacks. Fight boredom as it one of the biggest reasons you eat when you are alone. Distract yourself from getting bored and keep your hands off the unwanted foods. Although losing weight is not a quick fix, but you can always work on the ways to attain fitness and to control your habits. Break bad eating practices and in exchange adopt the good ones.